Mental health clinics that contract with insurance companies have to disclose intimate personal details about their patients’ lives and treatments in order to be reimbursed. We value your privacy – our work together isn’t your health insurance company’s business. It certainly isn’t your employer’s business! ADHD treatment is a highly-personalized process. We work with you to find the plan that will work for you, whether or not it’s on your insurer’s list of approved treatments. Mental health clinics that contract with insurance companies must conform to the restrictions that insurers place on patients’ treatment. It doesn’t matter what will work for you – all that matters is what your insurance will pay for. At ADHD Specialists, we don’t contract with health insurance companies because we value your privacy and because our vision is to create the right treatment plan for you. 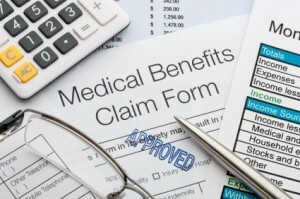 We will, however, help you file claims for our services with your health insurer if you choose. Instead of contracting with health insurers, we put you in control of deciding when – or even if – you want your health insurer (and possibly your employer) to know that you’re receiving treatment for your or your child’s ADHD. Worried about costs? Our unique approach to ADHD treatment may actually save you time – and money – even though you’re paying for our services yourself. We offer all of the testing and treatments you may need under one roof. You don’t have to make multiple appointments at different locations – saving you time, gas, and co-pays. With the individualized treatment plan we will create just for you, you’ll be on the road to turning your life around much faster than you probably would with a one-size-fits-all treatment plan mandated by your insurance company. If your total health care expenses, including your visits with us, total more than 7.5% of your family’s annual household adjusted gross income, may be eligible to take a Medical Expense Tax Deduction. This deduction could lower your taxable income and significantly reduce your taxes. If have a Flexible Spending Account (FSA), you can use those (pre-tax) funds to pay for the treatment you receive here at ADHD Specialists. Clinics that contract with insurance companies have to hire several additional staff members just to fill out forms and “wrestle” with insurers for payment. At ADHD Specialists, our staff overhead is much lower – and we pass those savings on to you. We Also Offer Free Teleconferences to help you learn the latest tips and strategies for getting through the speed bumps of life that ADHD can cause. Sign Up Here and we’ll send you information on joining our next teleconference. You and your family deserve the level of care that we offer at ADHD Specialists. You also deserve a chance to experience what we have to offer before you commit. Please order your copy of the Guide and sign up for your first teleconference today – we’re here for you!